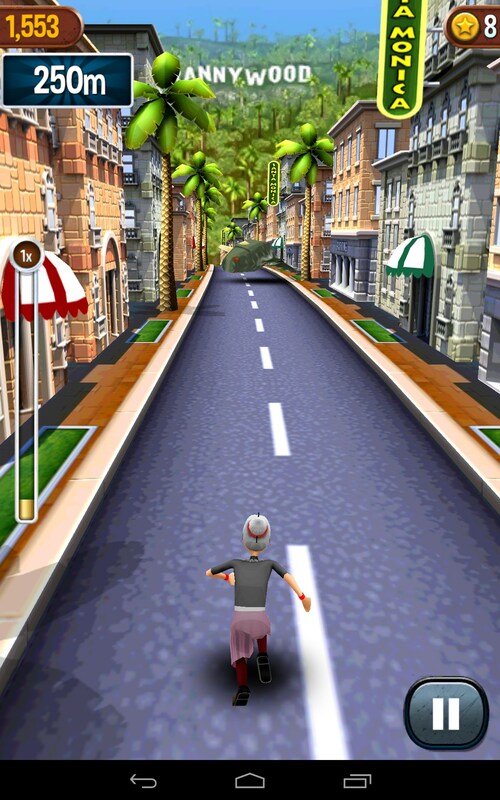 Angry Gran Run – Games for Android 2018 – Free download. 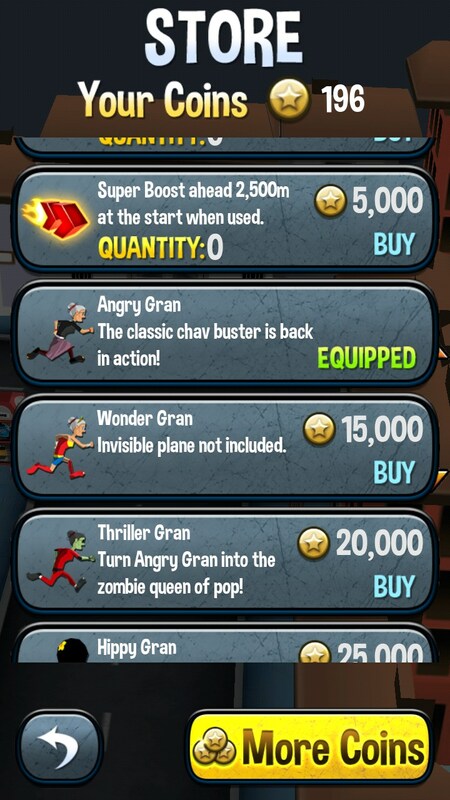 Angry Gran Run – Interesting runner about a crazy granny. 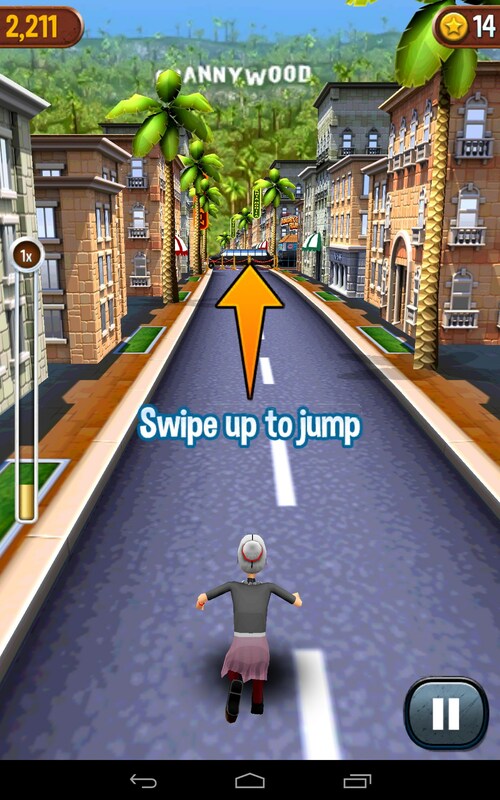 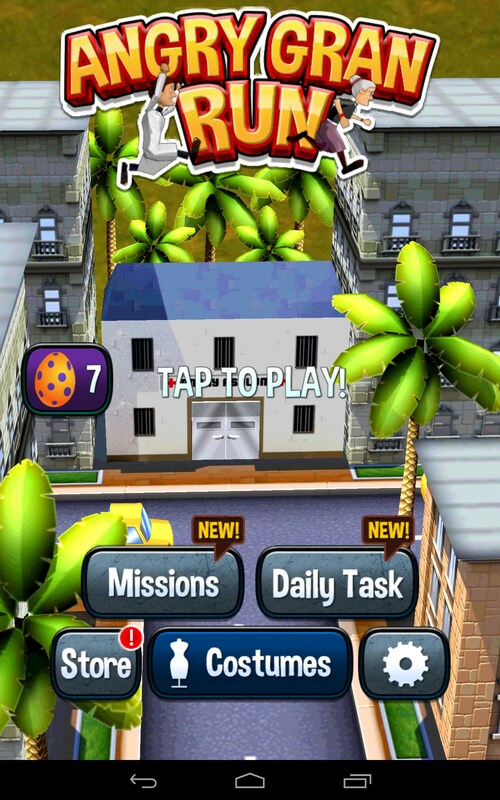 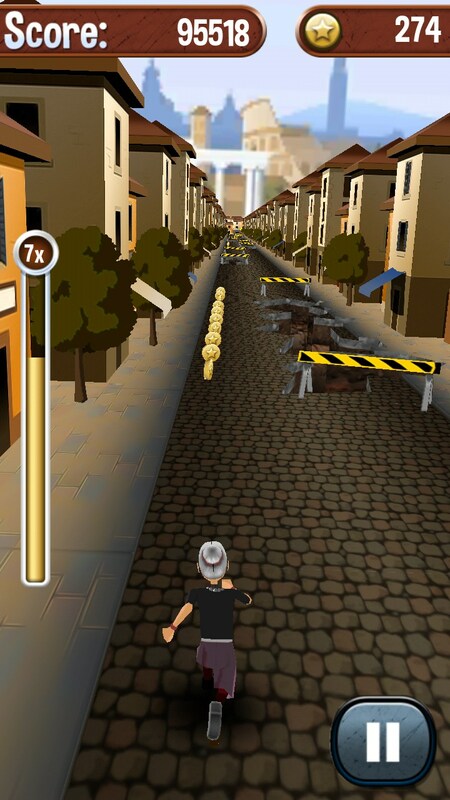 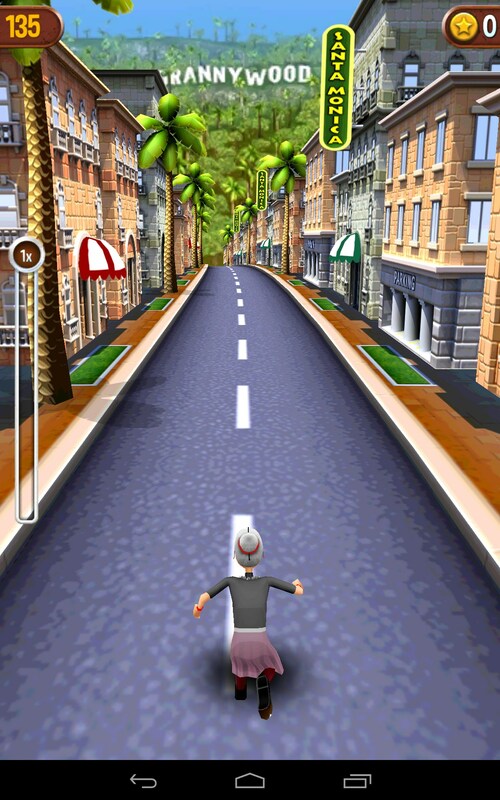 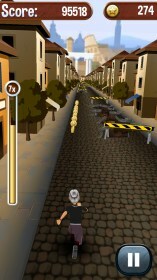 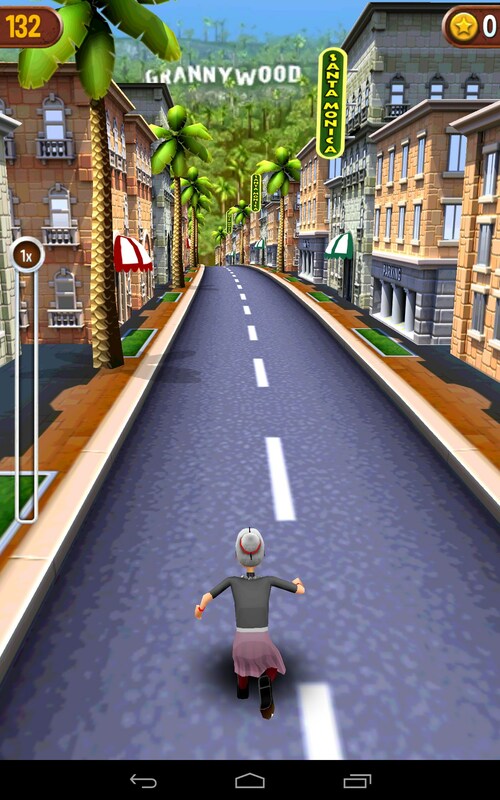 Angry Gran Run is yet another game in the runner game series for Android devices about a crazy granny. 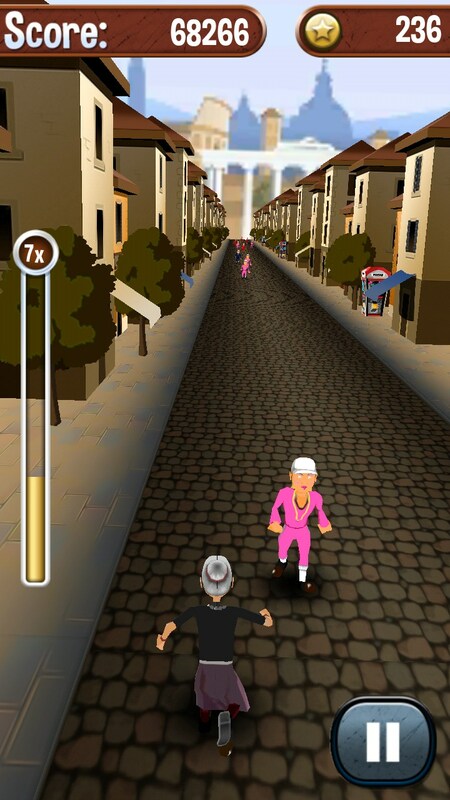 This time the granny escaped from a nuthouse and needs to run away as longer as she can and overcome many various obstacles. The controls are pretty simple, but they cannot be called responsive because of the long response time. 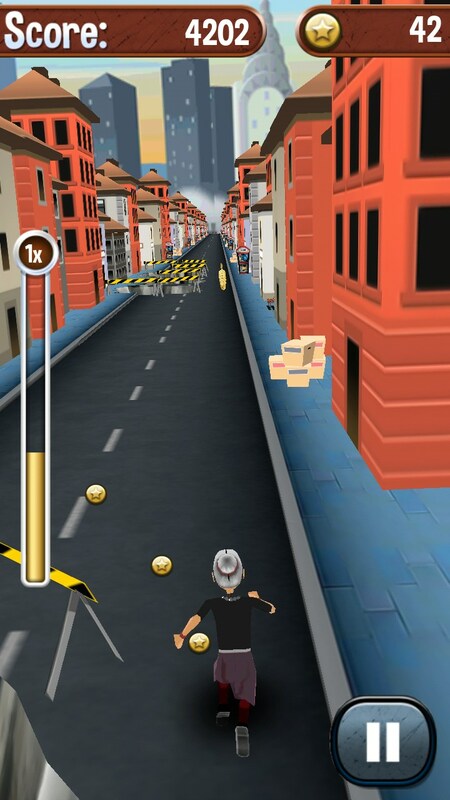 You will need to tilt your device in order to move right and left, whilst to jump and slide under the obstacles you will need to swipe the screen up and down. 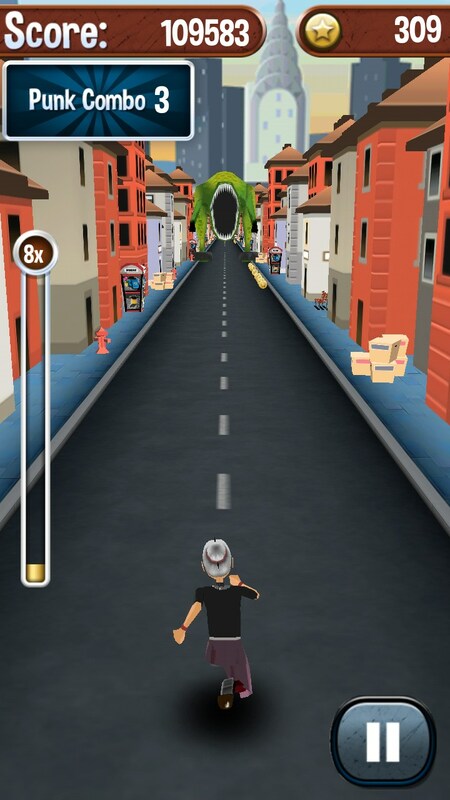 Your way to salvation will be teeming with weird and funny obstacles like cars, huge fish, punks, and aliens. 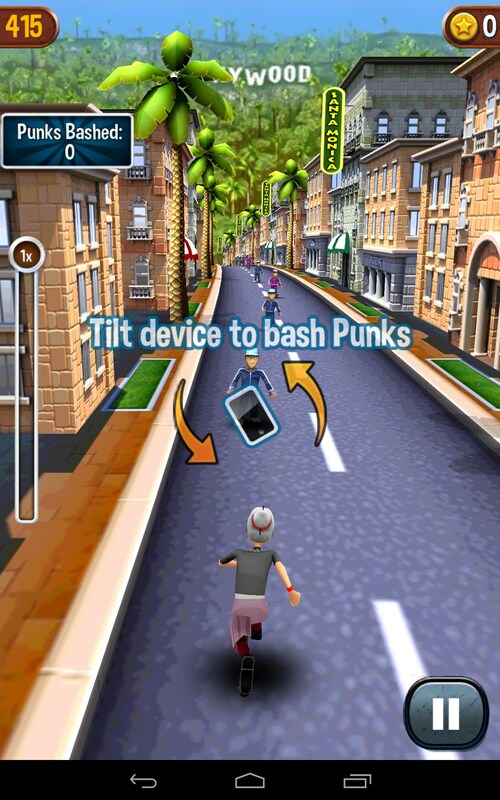 By the way, there will also be mini missions (for example bashing punks) that you will need to complete to earn more points. 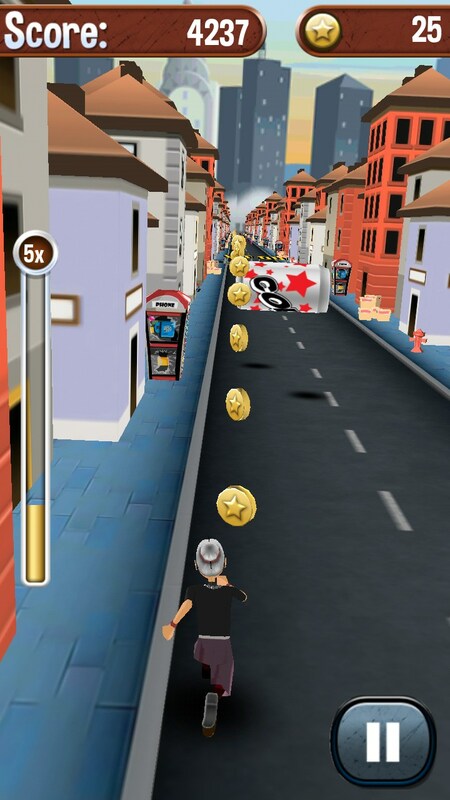 And though the game idea is pretty exciting, the game cannot be called good because of unresponsive controls and tacky graphics. 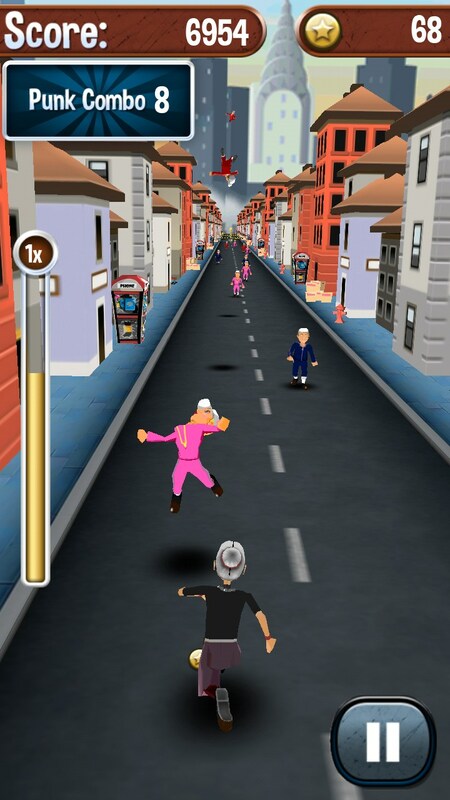 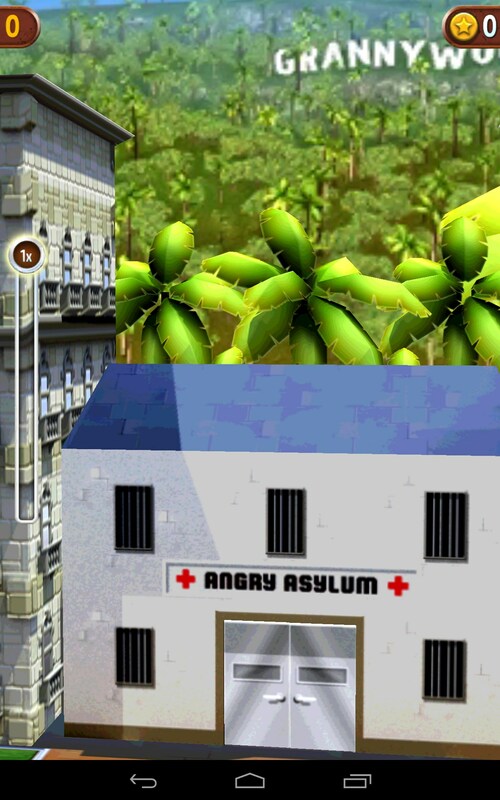 Angry Gran Run is an interesting runner game for Android devices where you will become a crazy granny who needs to run away from the nuthouse doctors. 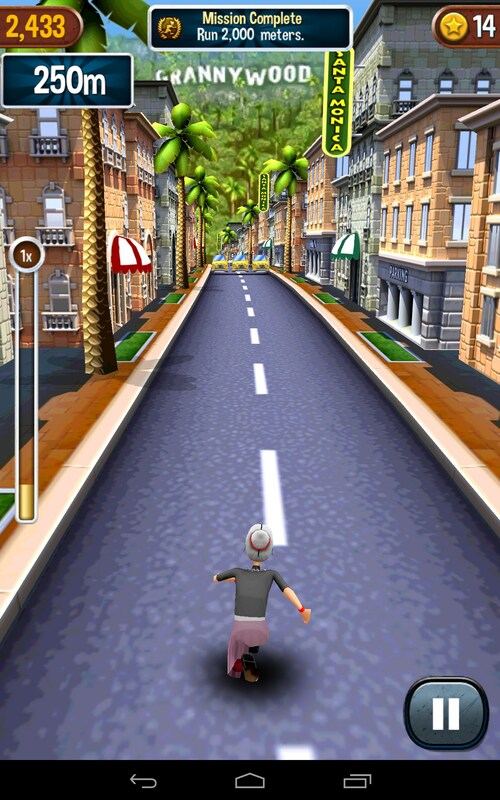 The game is distributed for free and is pretty simple, but it feels like it misses something important. 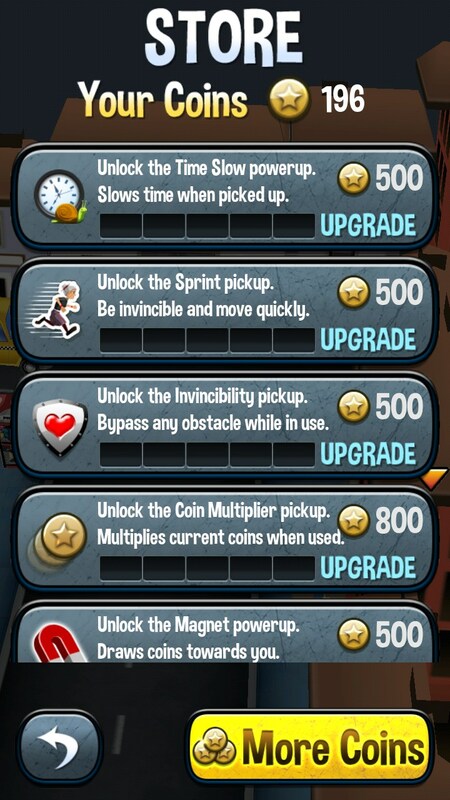 More to that, it features in-app purchases.